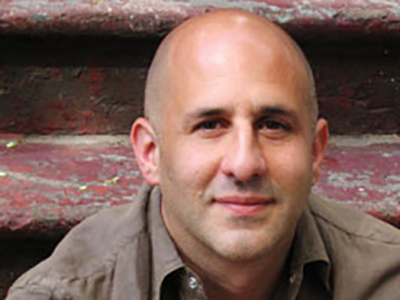 Larry Blumenfeld is a cultural journalist, music critic and longtime contributor to The Wall Street Journal. 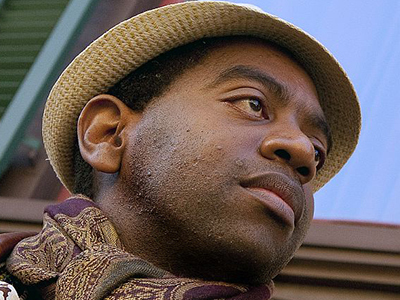 As this year’s Jeanette K. Watson Distinguished Visiting Professor in the Humanities Center, he will explore “Jazz in Troubled Times” through a series of lectures, workshops, public discussions and musical performances. Everything is free and open to the public. For more information, visit humcenter.syr.edu. The College of Arts and Sciences recently caught up with Blumenfeld to discuss his residency, which runs from March 25-April 5 and covers the “ongoing relevance and resonance” of jazz culture. There are many possible interpretations, but jazz culture begins and ends with music. For our purposes, it refers to shared patterns of behavior and values that both give rise to bodies of music and draw from them in a functional way. It speaks of many of the things we like to—and need to—discuss right now, such as race, gender, ethnicity, class, cultural heritage and a sense of purposeful community. How is jazz still relevant? A century ago, jazz was a brand-new style of music. Fifty years later, it was mainstream music. The radio played it. People danced to it. Musicians earned a living performing it, and sometimes achieved popular stardom. Those days are gone. While tastes have changed, jazz is still very much alive, but in different ways. Just as Miles Davis, John Coltrane and a long legacy of musicians mined repertory and contemporary influences against the backdrop of activism and experimentalism, today’s jazz artists are reimagining the concept of jazz for their lives and times. Though it may not have the mainstream appeal it once had, the music binds a vital community and connects it to an important history. 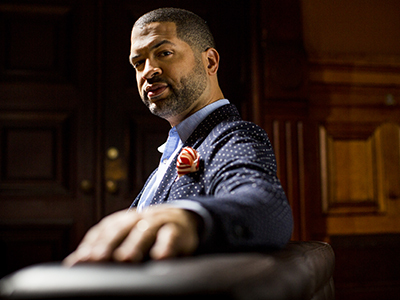 Pianist Jason Moran will perform in Hendricks Chapel on April 5. “He personifies the relevance of jazz culture,” Blumenfeld says. Proof of jazz’s relevance is all around us, from Spike Lee’s Oscar-winning film [“BlacKkKlansman”] to Henry Threadgill’s recent Pulitzer Prize [for his composition “In for a Penny, In for a Pound”]. Just as jazz culture was indelibly tied to the Civil Rights Movement, it now reflects the Black Lives Matter and Me Too movements. Its connections to other styles of music—pop, rock, hip hop, electronica, classical music—are sometimes obvious and other times less so, but they remain essential. I would argue that jazz, more so than other genres, continually updates and reinvents itself. Jazz is a century old. Troubled times are far older. We’re living in a troubled time now. Jazz is music, but it exists within a humanistic perspective. It also is inherently multicultural. Since the 1920s and ’30s, jazz has been a conduit for political action, social justice and spiritual healing. It also has coincided with some of the darkest hours of our nation’s history and has helped us through those times. The main lectures of my residency will focus on two areas. One is the role of jazz culture in the recovery of New Orleans, since the 2005 floods that resulted from levee failures after Hurricane Katrina. The other is the impact of the Association for the Advancement of Creative Musicians [AACM], a collective founded in Chicago more than 50 years ago that has been grounded in jazz tradition and has affected all corners of musical life. Saxophonist Yosvany Terry will explore the “centrality of Cuban tradition to jazz culture” in a concert at La Casita on March 29. You have histories with both. I am working on a book drawn from my research and reporting in New Orleans since 2005. I have studied the ongoing struggles and contributions of brass bands; the Mardi Gras Indians; Social Aid and Pleasure Clubs; and jazz musicians of all stripes. I am convinced that jazz culture has shaped the city’s recovery process. I also am concerned about the role of culture in what is now a “new” New Orleans. There are larger lessons and metaphors to that story that tell us a lot about the identity of jazz and our country. AACM emerged in Chicago in the ’60s, in response to many rapid changes in the city and our society, in general. Since then, AACM has supported the growth of composers, performers and educators who understand the traditions of jazz and African American culture but also look beyond categories and styles. AACM focuses on individual realizations. It does great work for children and developing musicians, often embracing other art forms, such as dance, theater and painting. I probably will touch on elements of jazz criticism and musicology, but that’s not the purpose of my visit. My focus is on how jazz culture fosters notions of activism, spiritual growth and a sense of community, in a deeply personal and intersectional way. We appreciate jazz—I appreciate jazz—as music, first and foremost. But isn’t it also the voice of a community, or of several communities? 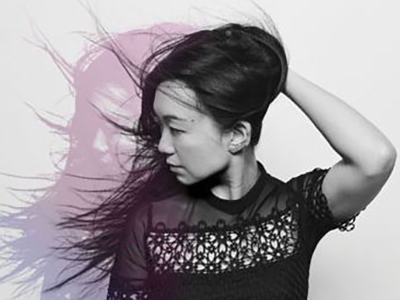 Bassist Linda May Han Oh will lead a jazz listening party in 114 Bird Library on April 4. I imagine your guests will help answer that question. Bassist Linda May Han Oh will lead a listening party [in 114 Bird Library on April 4] that constructs a jazz history from music composed or played by female musicians. She and I will also discuss a changing perspective when it comes to gender and jazz that affects how we consider the past, and what opportunities women have in the jazz field moving forward. Saxophonist Yosvany Terry, who teaches at Harvard University [and whose visit includes a concert at La Casita Cultural Center on March 29], will explore the centrality of Cuban tradition to jazz culture in the United States. Often in spite of the politics, there is an exciting flow of culture between both countries. My visit will conclude with my public conversation with pianist Jason Moran, followed by a solo-performance [in Hendricks Chapel on April 5]. I have known him for most of my career and marvel at how he consistently reimagines jazz culture and its connections to wider worlds. His solo-piano work is a thing to behold, and it should sound glorious in the chapel. Jason’s approach comes out of the jazz-piano tradition, but it embraces and embodies other streams of music, too. He is a widely accomplished musician, composer and visual artist who, for me, personifies the relevance of jazz culture.